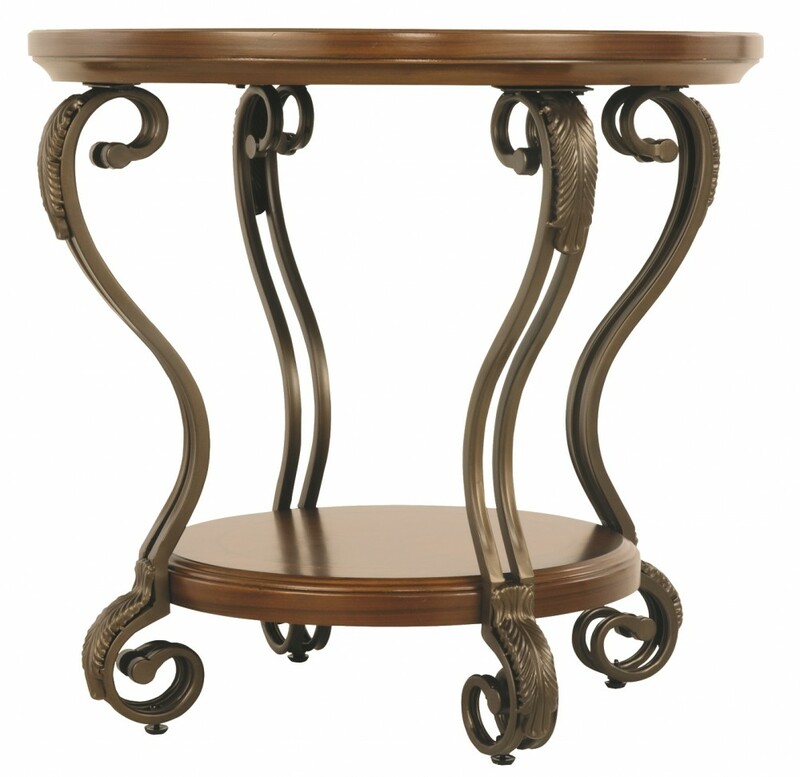 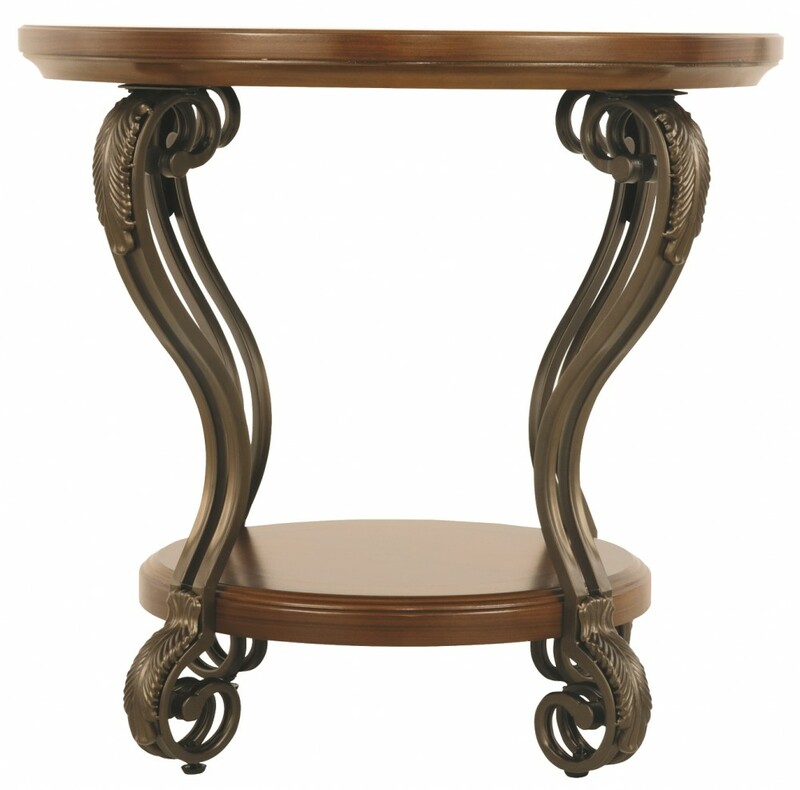 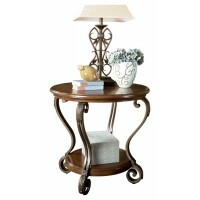 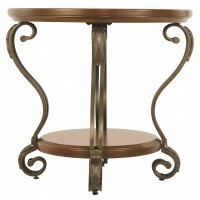 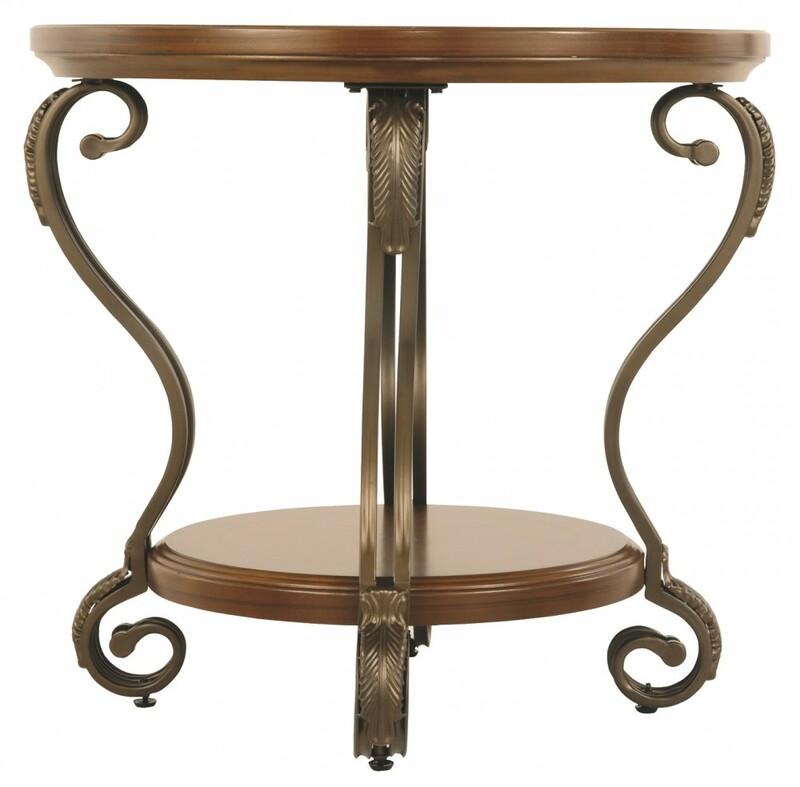 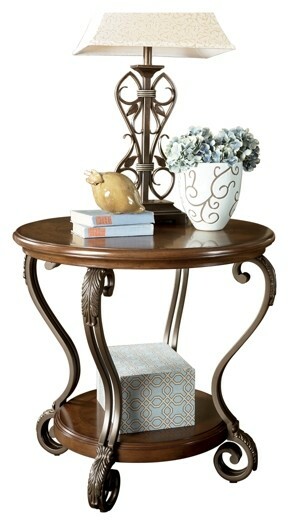 If there’s an accent piece with a flair for making traditional elements look so fit for modern-classic settings—this round end table is it. 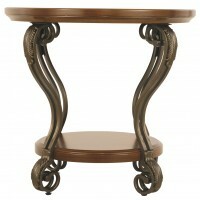 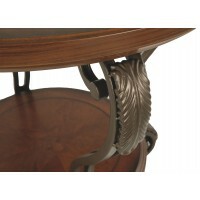 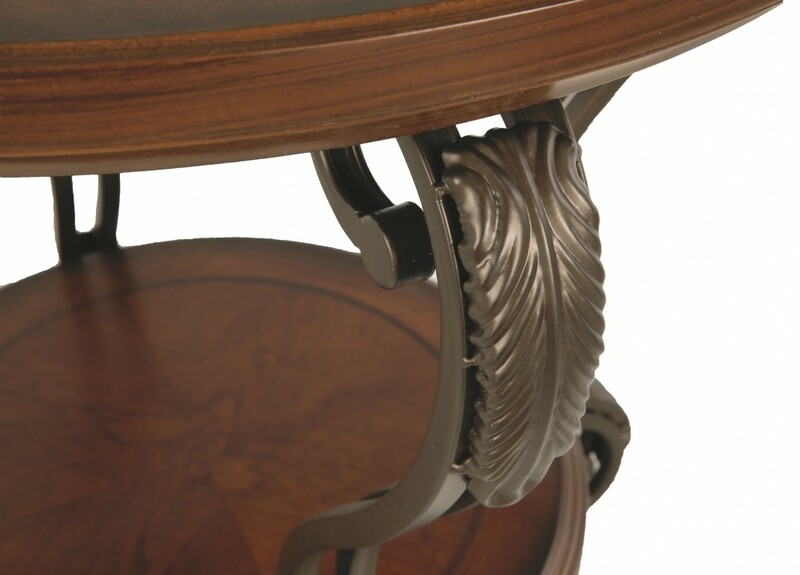 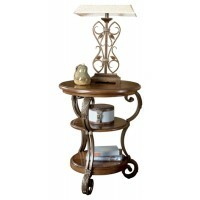 It’s hard to not fall for the elegance and intricacy of acanthus leaf carvings and shapely serpentine legs. 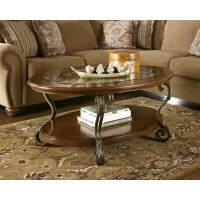 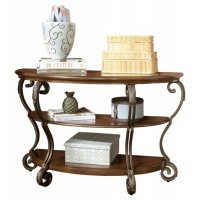 Bathed in a toasty finish with oil-rubbed accents, the tabletop and bottom shelf are top shelf for warmth and high-end rustic appeal.